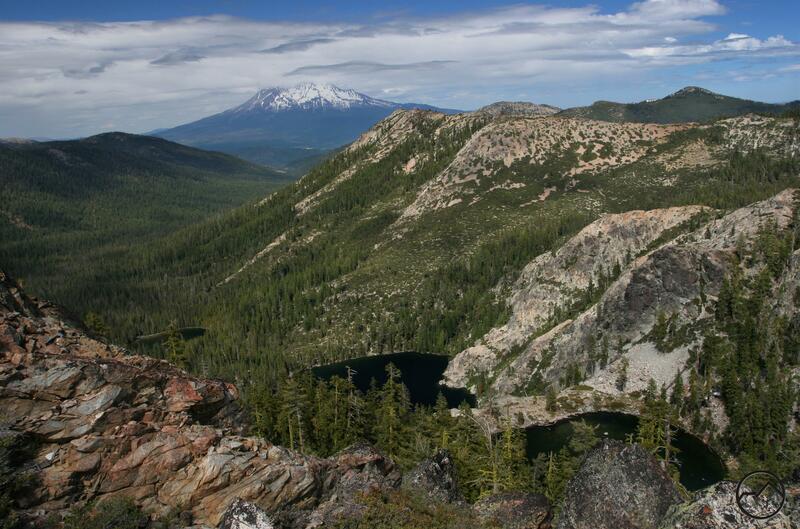 Mount Shasta stands regally beyond the Cliff Lakes, the headwaters of the South Fork of the Sacramento River. The Sacramento River is California’s longest and largest river. It draws its water from more than five major mountain ranges: The North Coast Range, the Klamath Mountains, the Cascade Range, the Warner Mountains and the enormous Sierra Nevada. Out of this vast territory, the place where the Sacramento River first rises up and begins its journey to San Francisco Bay is in the Trinity Divide (not to be confused with the nearby Trinity Alps). 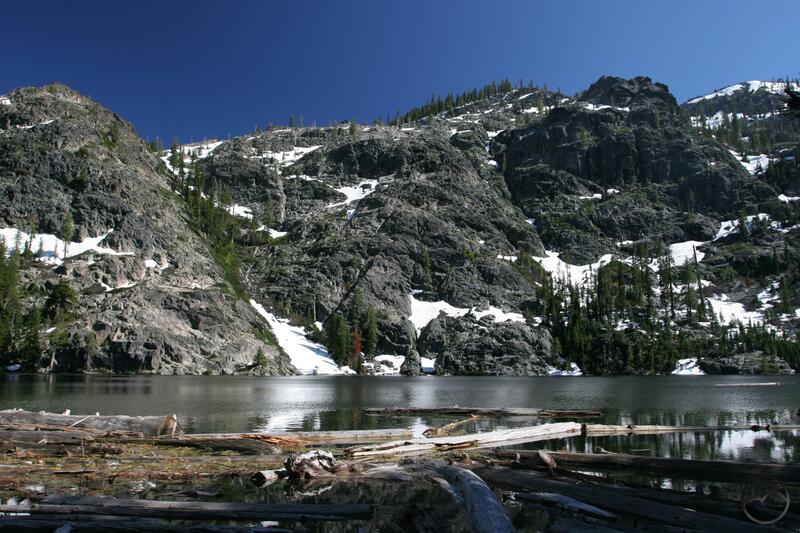 This is the highest subrange of the Klamath Mountains. It is in the Trinity Divide that the North, Middle and South Forks of the Sacramento emerge from extensive meadows and alpine lakes and flow through rugged canyons to combine their waters to form California’s greatest river. The Trinity Divide, though by no means a well-known mountain range, is one of the prettiest and most diverse ranges in Northern California. Mount Eddy and the Deadfall Basin, Porcupine Lake, the Seven Lakes Basin, the Castle Crags and the Castle Lake area are all incredibly scenic areas, most of which are blessed with incredible views of mighty Mount Shasta. Though most of these areas lack formal wilderness designation, they are all still primeval lands both wild and rugged. While studying the Trinity Divide on a map a couple of months ago, I was amazed how much of an incredible backpacking loop is composed of pre-existing trails. 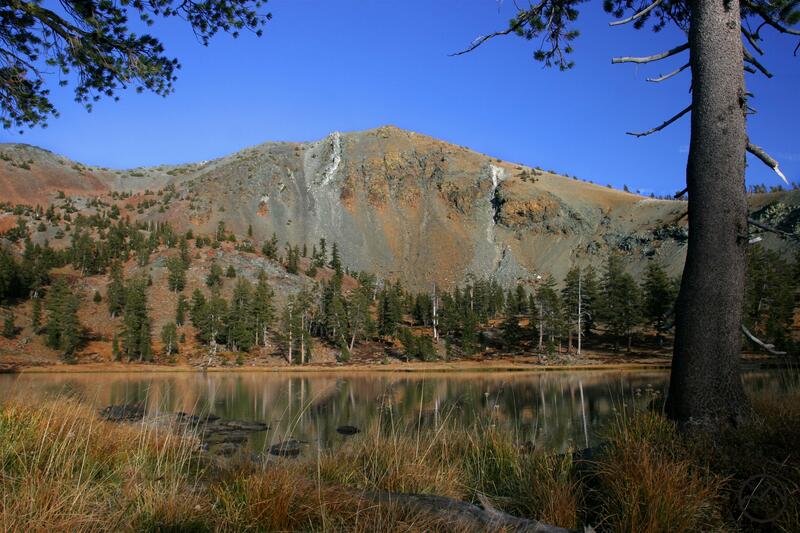 By combining existing sections of the Pacific Crest Trail, the Sisson-Callahan Trail and the Lake Siskiyou Trail 85% of a giant loop already exists. In other words, 34 miles of what would ultimately amount to an approximately 40 mile loop already exists. That such a spectacularly epic loop is nearly in existence already but remains unexploited is surprising. Considering the length, remoteness yet ease of access and absolutely magnificent scenery, this loop could be a major draw for the Mount Shasta area. It could easily become a destination trail, attracting backpackers from other parts of California and out of state to come and enjoy a sublime loop through great terrain and nearly constant stupendous views. The significance of the trail’s relationship to the genesis of California’s largest and longest river should not be underestimated either. The loop would presumably begin at Lake Siskiyou and head west up the Sacramento for nearly two miles. At the confluence with the North Fork of the Sacramento, the route would begin climbing up the Sisson-Callahan Trail. This trail ascends the length of the North Fork through a rugged and wild canyon to a sprawling meadow complex in the shadow of Mount Eddy. From there the trail climbs steeply up the flank of Mount Eddy to the divide between the Deadfall Basin and the North Fork Canyon. This is the only rigorous climb of the entire loop. 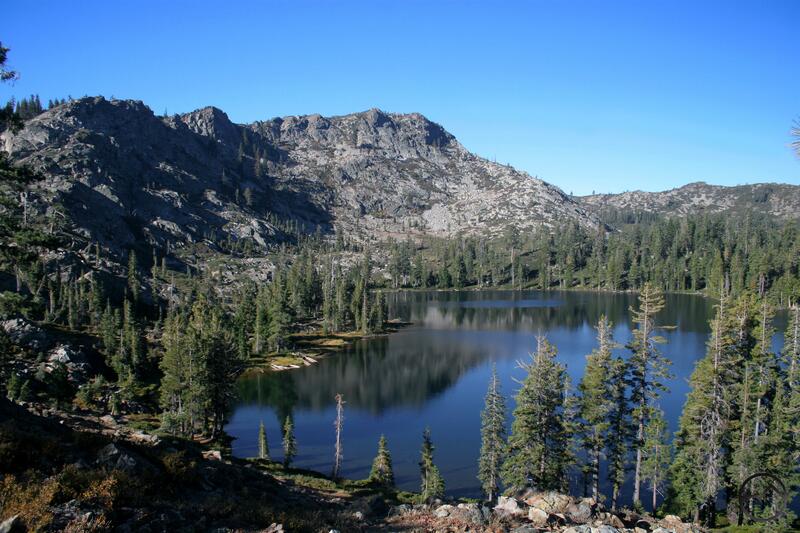 After a quick side trip up to the staggering views at the summit of Mount Eddy (for my money, the finest vista in Northern California), the trail drops down through gorgeous Deadfall Basin, passing the stunning lakes as it heads down to its junction with the Pacific Crest Trail. Once on the PCT the loop heads south along the spine of the Trinity Divide. Views of Mount Shasta, the Trinity Alps and the Divide itself are incredible. Highlights along the way include Toad and Porcupine Lakes, the latter nestled in a stunning granite cirque at the foot of pyramidal Porcupine Peak. From there it is a few easy miles through excellent scenery to Gumboot Saddle. Beyond Gumboot, the trail continues south a little further, still graced with amazing views, until it reaches another saddle between the Mumbo Basin and the Seven Lakes Basin. 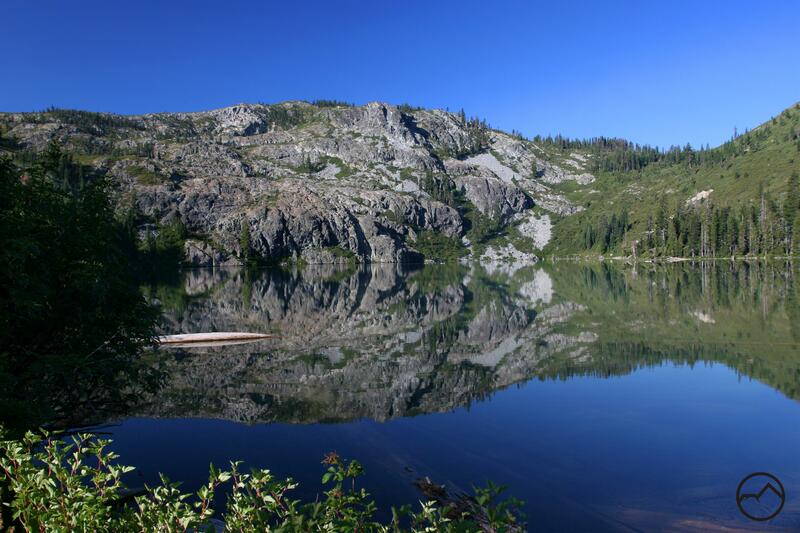 The larger Seven Lakes Basin is an easy side trip. The PCT then turns east and begins its long descent down the great central rib of the Trinity Divide that culminates in tremendous fashion at the Castle Crags. 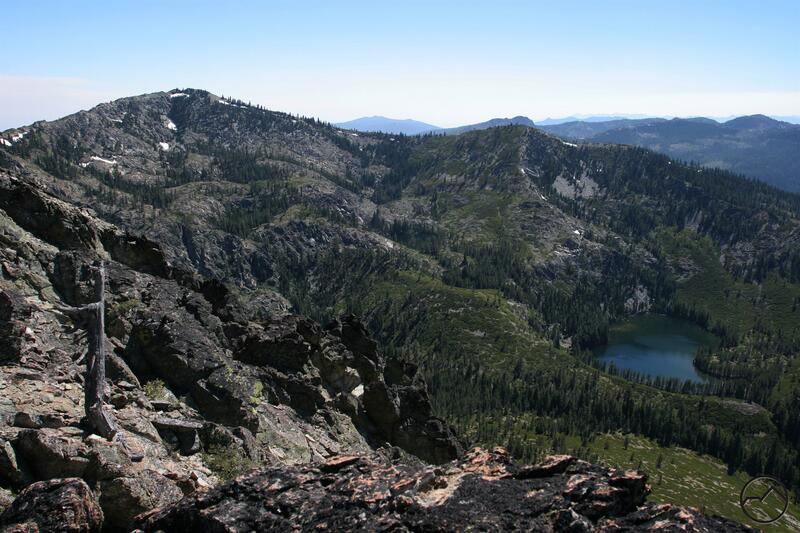 Views from this section of the trail continue to amaze and now include the Seven Lakes Basin far below the trail, the ragged Grey Rocks, the Castle Crags and Lassen Peak and the southernmost Cascades far to the east. As the trail proceeds eastward, the views of the Castle Crags continue to get better and better until it is an overwhelming presence. After traversing the headwaters basin of the North Fork of Castle Creek, a use trail leads over the shoulder of Castle Peak and into the Castle Lake Basin. 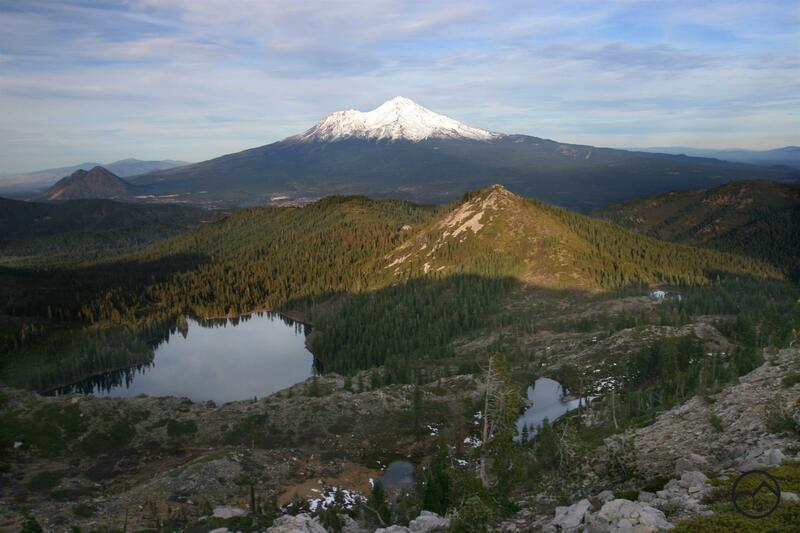 Here backpackers can enjoy the splendid view of Mount Shasta from Heart Lake. It is then time to make the final descent down to Lake Siskiyou, completing the loop. The Headwaters Loop. The dotted lines indicate places where there is no trail or road. Only two sections of this proposed loop have not been constructed. 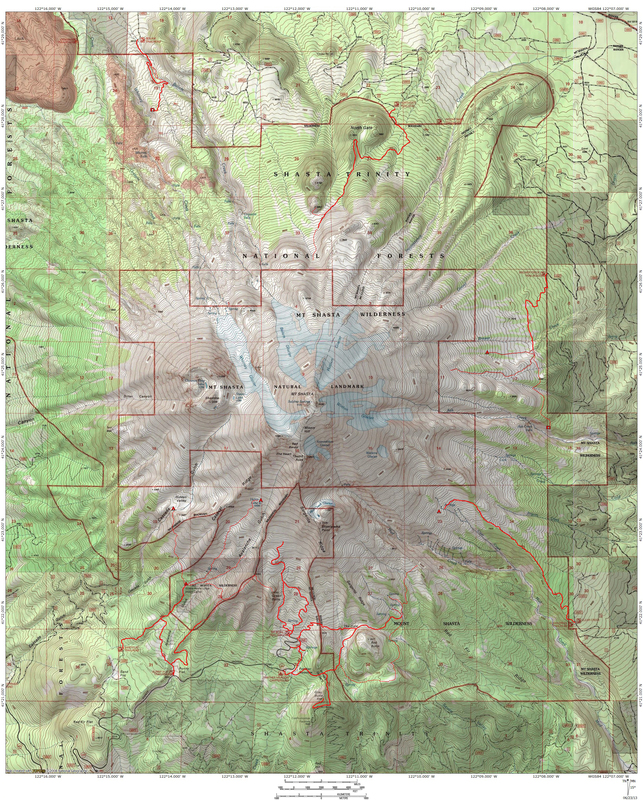 The most significant portion is the leg descending from Castle Lake down to Lake Siskiyou. This consists of approximately 4.5 miles. The precise length would depend on which of the numerous routes the trail could take. There is currently an old road running down the east side of Castle Lake Creek and this would likely be incorporated into the trail until it intersected the road from Lake Siskiyou up to Castle Lake. From there a number of possibilities open up. Probably the most difficult to construct but by far the most scenic option would be to route the trail through the canyon carved by Scott Camp Creek. Currently trailless, few venture into this canyon which has some surprisingly rugged cliffs. The other lacuna in the loop is from Lake Siskiyou’s inlet up the Sacramento River to the confluence with the North Fork. Several use trails already exist along some of this section and one of them could easily be absorbed into the loop. Extending the path along the Sacramento River to the North Fork would complete the loop. Due to the scenic qualities of the river in this area, this section of trail would probably become popular with hikers who are not looking to hike the circuit around the Sacramento’s headwaters but would just want to enjoy a beautiful and scenic trail. 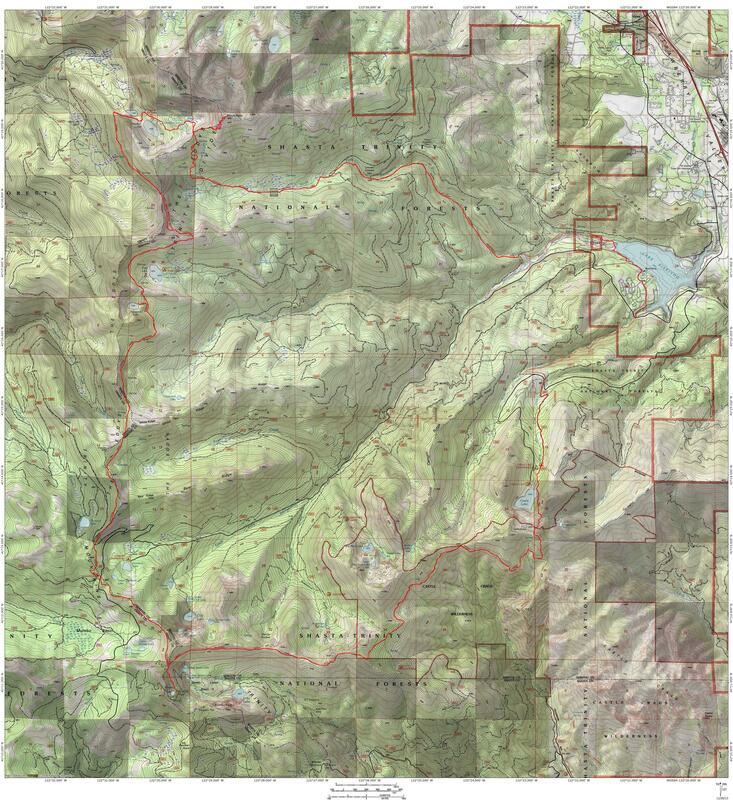 I plan on exploring some of the areas where there are gaps in the headwaters loop and I will post some thoughts and images along with my assessments regarding the best option for filling in these missing portions of the epic loop around the Sacramento River headwaters loop. Does this loop look interesting to anyone else? Any feedback is appreciated!